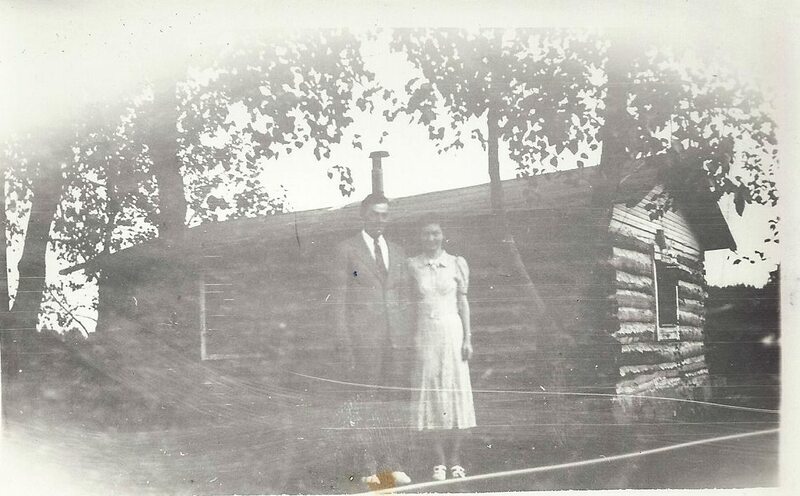 Grandma Dora and Grandpa in front of their log cabin home as newlyweds. When my grandparents were first married, they lived in a small log cabin on the top of a hill, looking over a pond. They had nothing, but they were happy. They were married for many years, where they worked hard and raised a family. My dad said he doesn’t remember them celebrating their anniversary. Perhaps he never noticed because there was never spare money to do anything fancy, but I’m sure they celebrated in their own simple way. My parent’s just celebrated their 44th wedding anniversary. We had a small luncheon at our house with a few of their friends. It was potluck style. Everyone brought salads to share. I decided to make the dessert, the anniversary celebration cake. 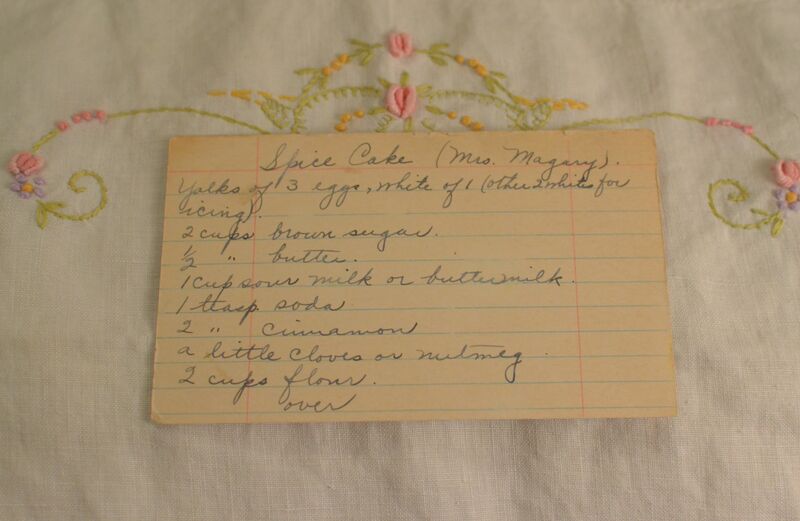 I flipped through Grandma Dora’s recipe box and found Mrs. Magary’s Spice Cake. 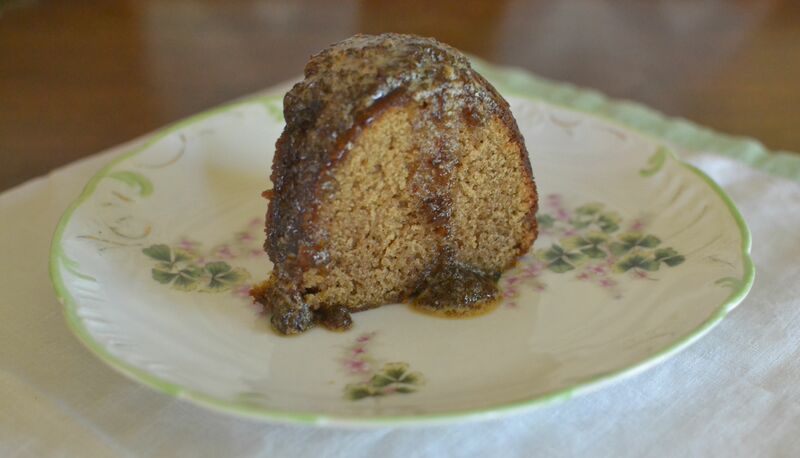 It looked like a simple, but yet elegant cake, with it’s Ground Raisin Glaze. Cream eggs yolks, 1 egg white, butter and sugar. Combine dry ingredients. 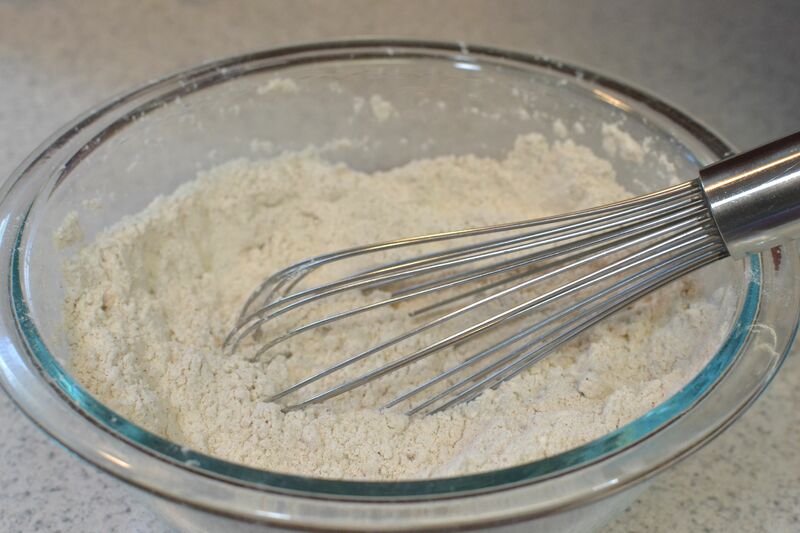 Alternate adding the dry ingredients and buttermilk a little at a time until batter is formed. Generously grease and flour a bundt pan. Bake at 350 degrees for 36-40 minutes or until an inserted toothpick comes out clean. Beat egg whites. 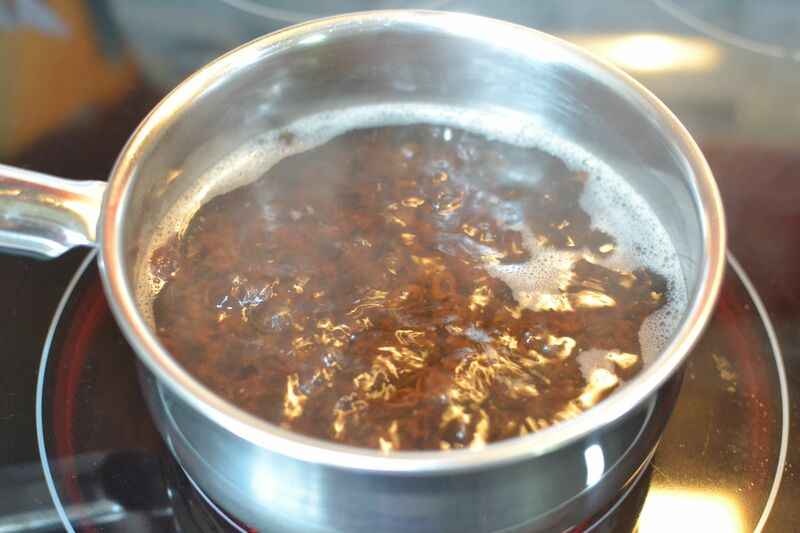 Boil sugar and water to make a syrup. 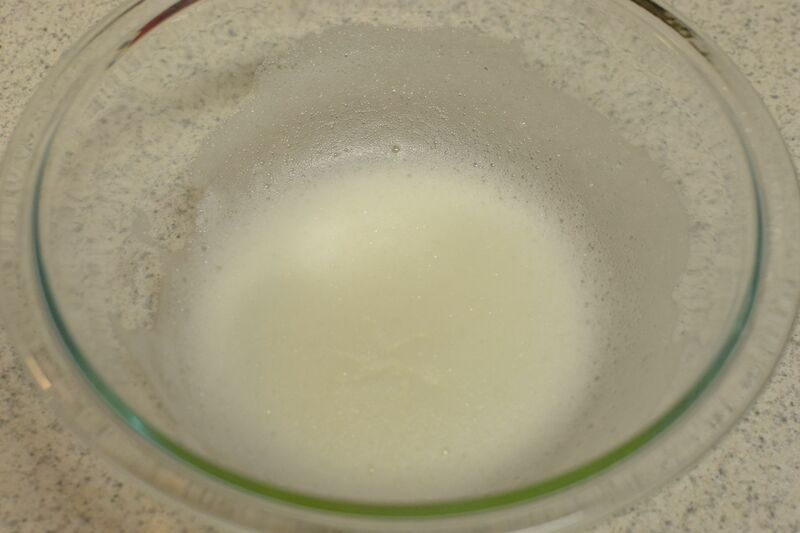 Pour syrup over beaten egg whites. Mix in ground raisins. Serve warm, drizzled over cake. I gathered my ingredients and got started. I started by creaming together the eggs, 1 egg white, brown sugar and butter. Then I mixed all of the dry ingredients together and set the bowl aside. If you don’t have buttermilk or sour milk, you can make buttermilk. Measure 1 Tablespoon of lemon juice and pour it into the bottom of a 1 cup measuring cup. Then fill the rest of it up with milk. 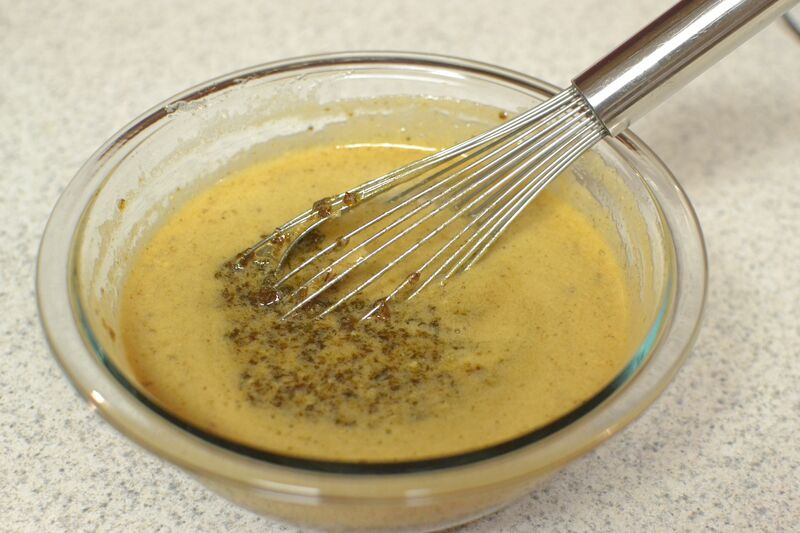 I did this and began the process of mixing the batter together. 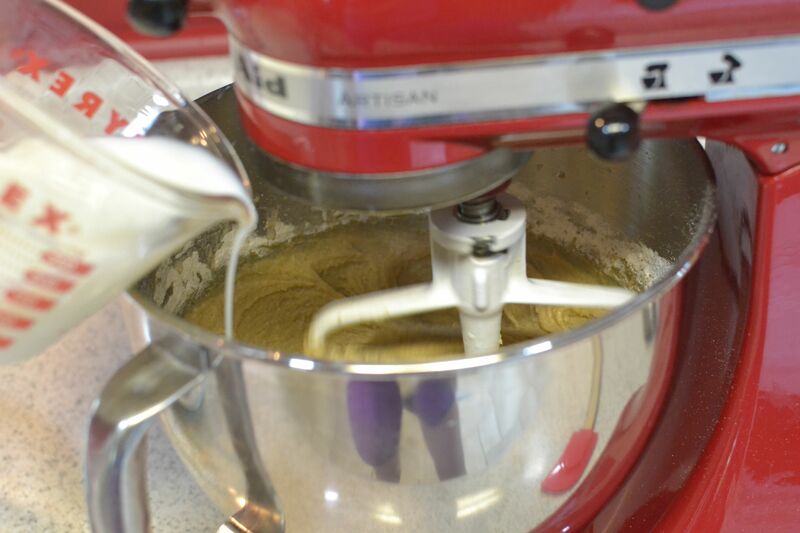 I slowly alternated adding the buttermilk and then the dry ingredients mixture, little by little, into the creamed ingredients in the Kitchenaid, until the batter was smooth. I greased (and later learned that I should have greased it MORE and floured it too) my bundt pan and added my ingredients. I popped it into my oven, at 350 degrees, and started the timer. There was no temperature or time on the recipe, so I guessed, slowly adding time as needed while it baked. While it was baking, I kept commenting how it smelled like Christmas in our house. I think it was the cloves, which I don’t use very often. After 38 minutes in my oven, the toothpick came out clean. It was done. I pulled the golden-brown beauty out of my oven. I left the cake to cool for about 20 minutes before inverting onto a cake plate. This is where I ran in to trouble. After the 20 minutes was up, my bundt cake wouldn’t budge! How could something so beautiful be so stubborn?! (Sounds like what my husband says about me. Ha!) I began doing some research, and found a bunch of tips, which I will share. Loosen the sides of your bundt cake with a rubber spatula, not a knife, as the knife will scratch the insides of your pan. (Mistake number one. Oops! Way to ruin your new bundt pan, Wendy! You know, the one that you bought to color coordinate with your kitchen! Ugh!) Before you begin, GENEROUSLY grease your bundt pan. I thought I had, but apparently I wasn’t generous enough. You can also flour it, too. 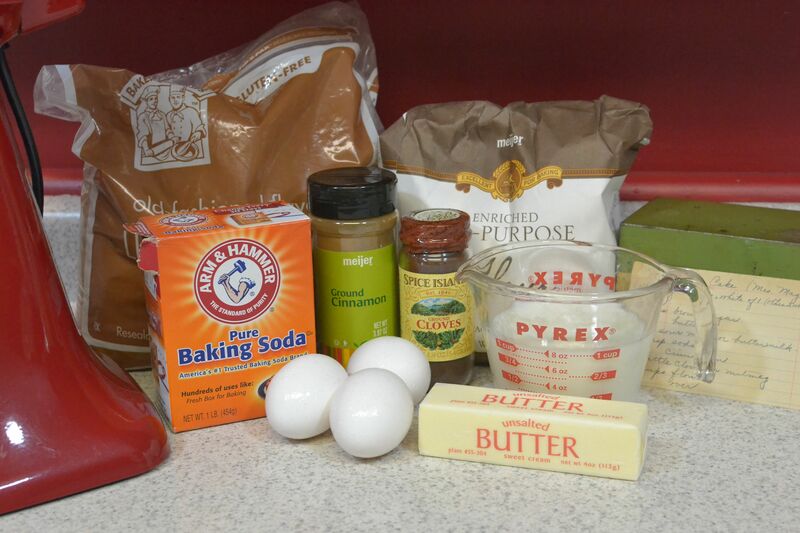 Specifically for chocolate cakes, but you can flour other kinds too if you wish. 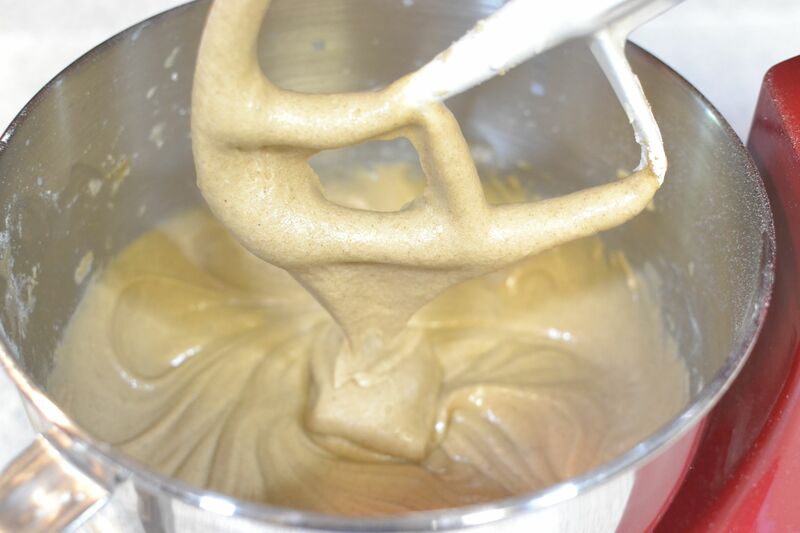 (I WISHED I had read that before I put in the batter!) So I was in a dilemma. You can’t go back after it’s baked! I read on a website that you can steam your bundt cake out, so I thought I’d try that. I boiled water in a tea kettle, placed a kitchen towel in the bottom of the sink and poured boiling water over it, just enough to wet it, not so it was dripping. Then I laid the towel over the bottom of the bundt pan while it was inverted on the cake dish. It popped right out! Whew! It was a MIRACLE! Crisis averted!! 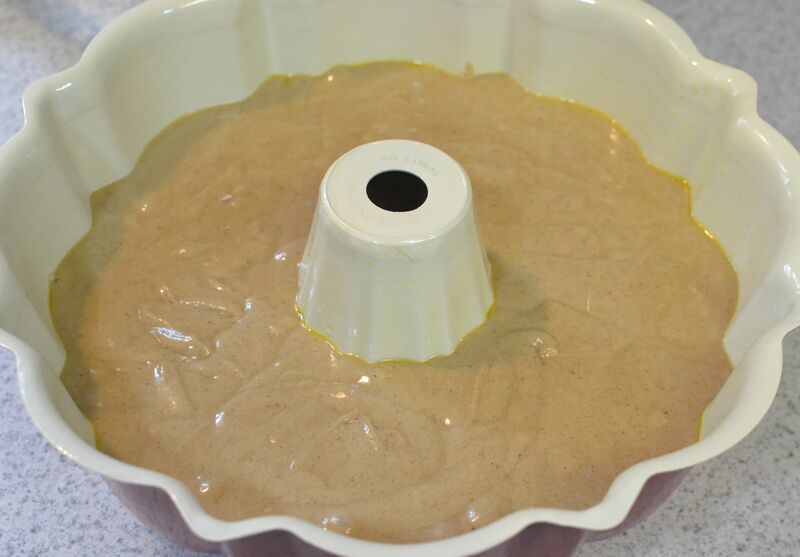 Deep breath…….Now it was time to make the Ground Raisin Glaze. What were ground raisins? Do you buy them ground or grind them yourself or what? I’d never heard of them, so I went back to the computer and did some more research. Raisins have tendency to clump up in baking recipes, so they are ground to avoid this. To make ground raisins, you boil them in water for five minutes, let them cool, and then put them in a food processor, chopper or blender. They look almost pureed when you are finished. The recipe calls for 1 cup of ground raisins. I knew that I’d need more than a cup of whole raisins to end up with a cup of them ground. I measured in 1 cup and then threw in extras with my hand. Probably about a half cup. I boiled them for five minutes, drained the water and left them to cool. Once cool, I threw them in my chopper. I ended up with one cup ground raisins, which I set aside. I beat the egg whites by hand in a bowl. Next I brought the sugar and water to a boil. 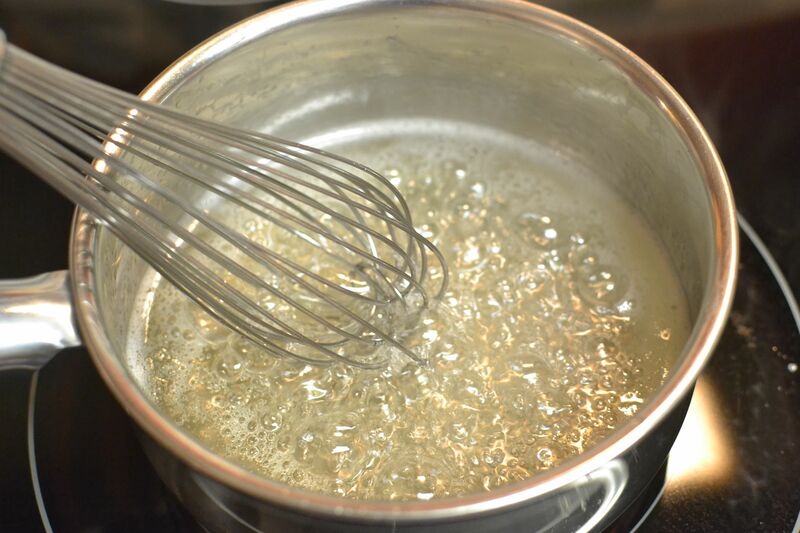 Then I poured the boiling syrup over the eggs whites, which seemed to cook them just a little. I added the ground raisins and whisked them all together. The Ground Raisin Glaze was completed. I served Mrs. Magary’s Spice Cake by slicing a piece and drizzling Ground Raisin Glaze on each plate. You could put it on the whole cake, but I was afraid that any leftover might have gotten soggy. Our friends at my parent’s anniversary party thought it was a very good cake, totally different from typical, box cake mixes. 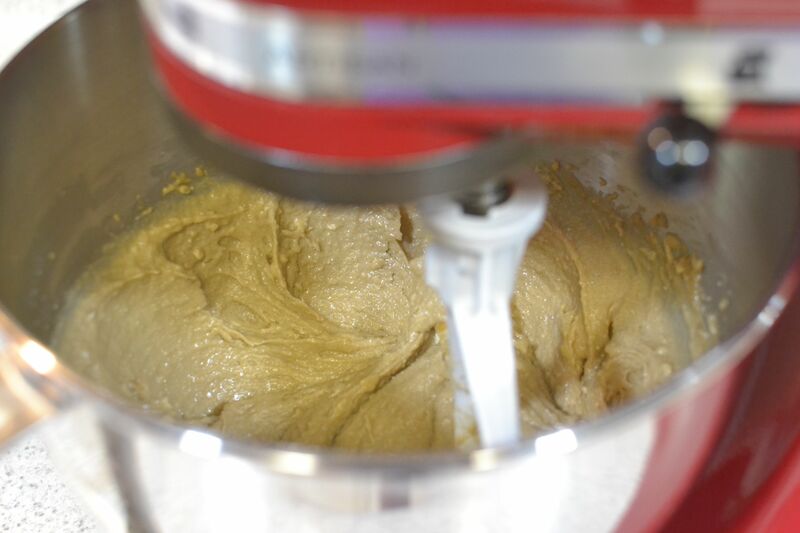 It had the consistency of a quick bread, like our first entry, Date and Nut Cake. 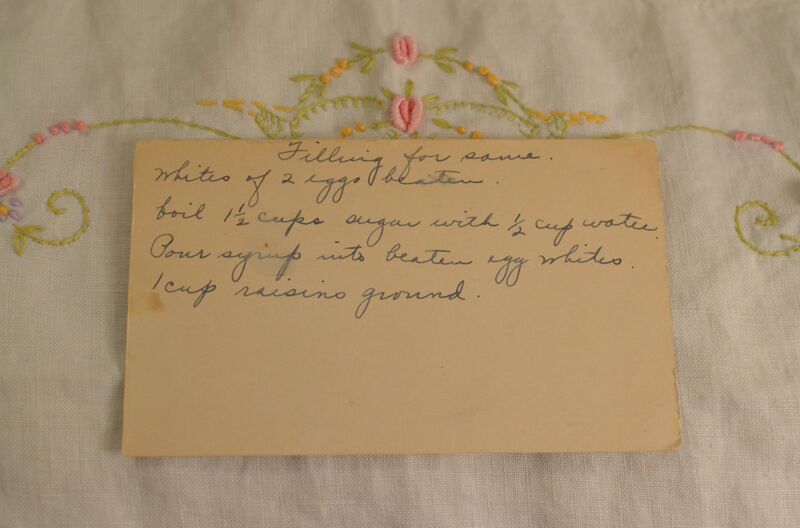 They suggested that if someone didn’t like raisins, they could still make the cake, but use other glazes or frostings. Raspberry was mentioned. I thought cream cheese frosting would be really good on top too. A simple powdered sugar glaze, drizzled and hardened on top would be not only easy, but elegant. My parent’s enjoyed their anniversary luncheon. I hope that Mrs. Magary’s Spice Cake helped to make it a little more special. It really was a beautiful, celebration cake! 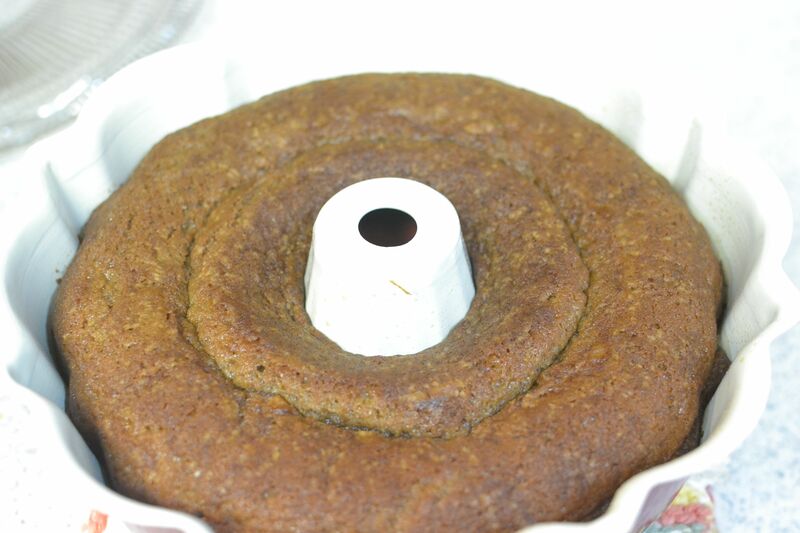 This entry was posted in Cake and tagged baking, cake, farm cooking, grandma's cooking, homemade, Raisins, Rasin Glaze, scratch cooking, Spice Cake by GrandmothersRecipeBox. Bookmark the permalink.